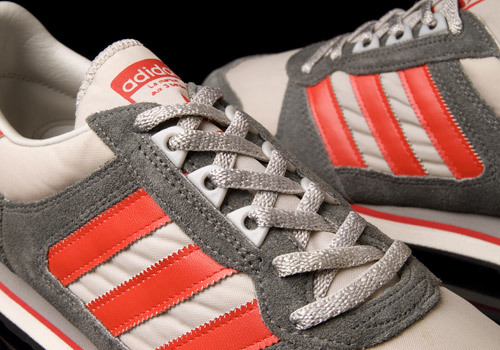 The rocket-like shape of an adidas Originals silhouette is almost a dead give away that it’s vintage, or at least from the ‘golden years’ of trainer history. 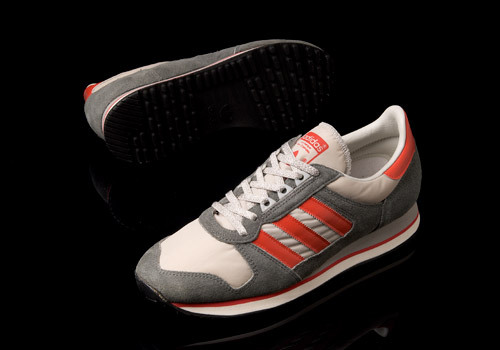 Many collectors could agree that older shoes had a slim, straight outline, diagonally riding down from the ankle, past the eyelets, to the toebox, and finally meeting the tip of the outsole without a single curve, bump, or other structural disruption. 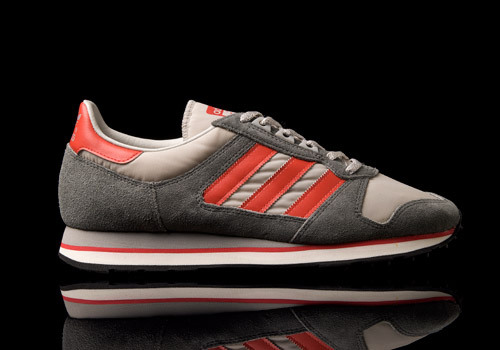 These adidas Zany’s are no exception to the rule, showing off their slick, dark gray synthetic silhouette, constrasted by patches of thinner, lighter gray material and silvery laces held in by two normal eyelets followed by three light gray ghillies on either side of the tongue. 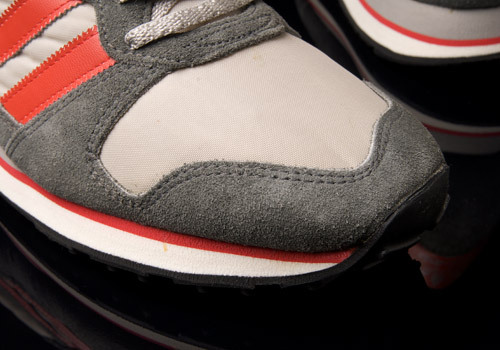 Bright red side stripes, tongue logo, and heel patch pop against the tame colorway, echoed again in the center of the rubber midsole. Their outsoles are built with a series of deep, firm horizontal pegs providing secure traction and the pattern is continued up the tip of the toe box to provide accurate stops and forefoot grip. 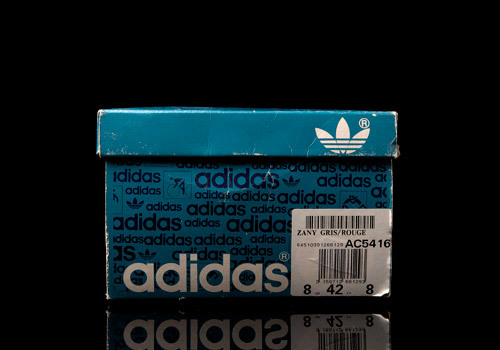 These kicks are extremely hard to come by in today’s sneaker markets – on and offline – especially if one desires to have them deadstock, packaged in their vintage-style, royal blue Originals box with ventilation holes and repeating adidas branding. 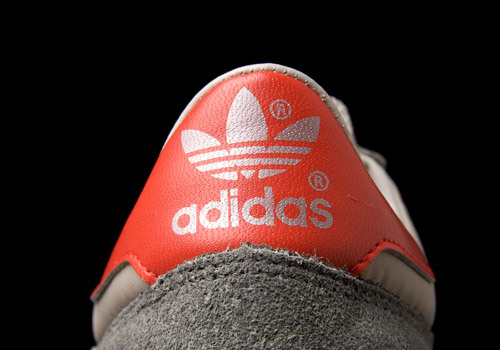 it’s a shame that Adidas doesn’t stay true to the original design when they retro a shoe. 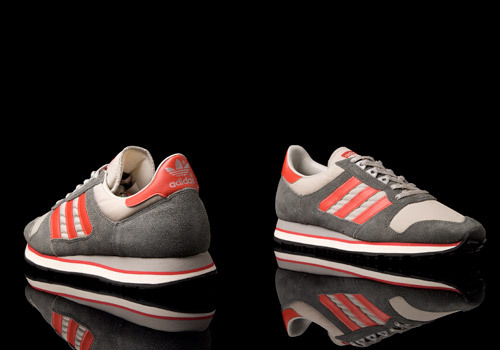 that streamlined look is what makes the shoe so dope!